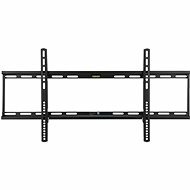 ConnectIT F1 universal tilt support for 37-63 "for LCD and Plasma TVs, with a tilting up to -10 ° tilt and a quick fix for the installation, with supplied screws, dowels, and integrated spirit level to make installation easier for any more skilled user. 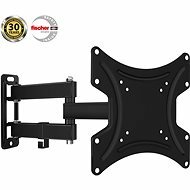 As a result of the high load capacity of 75 kg and support for VESA standards up to 800 x 400 mm, this is the ideal accessory for larger and heavier plasma panels. 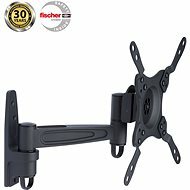 This ConnectIT F1 universal tilting wall mount is designed for 37-70" LCD and Plasma TVs. 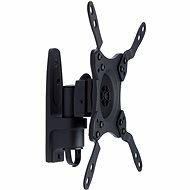 It supports tilting by up to -10° and installation will be quick and easy. Everything that is necessary for installation is provided, this includes screws, dowels and even a spirit level. 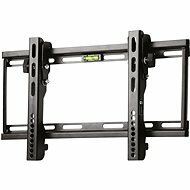 This wall mount has a high load capacity of 75kg and supports VESA standards up to 800 × 400mm. 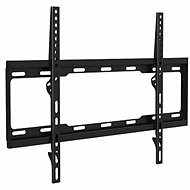 This makes it the ideal accessory for larger and heavier plasma screens. CONNECT IT was established in 2010 and since inception, its sole purpose has been to provide products with excellent price-performance ratio. They were tired of products with prices unreasonably high for the actual value of the product. Products by CONNECT IT under go extensive testing before they are offered to customers, and evaluation is based on the quality of design, practicality, durability and reliability. From the brand CONNECT IT, you'll find accessories for personal computers, mobile phones, tablets, and audio-visual equipment. You can also find keyboards, mice, memory card readers, USB drives, speakers, headsets, network elements, flash drives, power adapters for laptops, chargers and external batteries for mobile phones, brackets for LCD, LED lights, plasma televisions and projectors. Gamers will appreciate the high-quality equipment, which is regularly ranked near the top of sales charts. For shipping to other EU countries visit this page CONNECT IT F1 black. Für Versand nach Deutschland, besuchen Sie bitte Wandhalterung CONNECT IT F1 schwarz. Chcete doručit zboží do Česka? Prohlédněte si CONNECT IT F1 černý. Chcete doručiť tovar na Slovensko? Prezrite si CONNECT IT F1 čierny. Für Versand nach Österreich, besuchen Sie bitte Wandhalterung CONNECT IT F1 schwarz. Magyarországra történő kiszállításért tekintse meg ezt a termékoldalt: CONNECT IT F1 fekete.